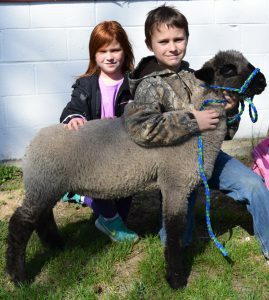 Cape May County 4-H Member Patrick Kelly is shown here with his younger sister Lauren and his Suffolk market lamb. In our first blog post, we began the process of planning to find just the right lamb for your 4-H market project. I hope you have been studying up on the parts of the lamb, good conformation traits and determining what size lamb you will need. Now, let’s take a look at your next big steps. Now it’s time for the second phase of your planning. Doing your homework to find quality market lambs is critical! 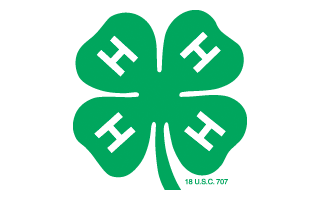 The NJ State 4-H deadline to have the lamb on your property is May 1. Don’t wait until the end of April to start looking for a lamb! Taking the last lamb available or one whose breed characteristics don’t lend themselves to rapid weight gain will only lead to disappointment and frustration. Quality project lambs come in a variety of breeds, each with their own strengths. Some of the most popular are Suffolks, Hampshires, and Dorsets. Overall they may have the best growth rates, muscling, frame size, and trimness. Crossbred animals may also give you a good compilation of traits. Do your research to determine which breeds available to you suit your needs. It is helpful to attend other county and state lamb shows to broaden your knowledge of successful conformation and to meet breeders. Select the farms you want to visit. Be courteous and call ahead to schedule appointments so that the farmers will have time to spend with you. Only consider lambs from flocks that are healthy, well managed, and have a good 4-H reputation. You are ready to start your farm visits! Here are some tips on what to look for in overall herd health and in individual lambs. Overall, you want to see sheep in good condition that are alert, active and free of visible disease. Are the flock’s rams and ewes known for producing quality lambs that have performed well? Do the larger sheep in the flock exhibit leanness and heavy muscling and appear to be structurally correct and sound? Ask if you can see older lambs or sheep that are related to the lamb you are considering. Can the producer provide past carcass characteristic records and growth statistics such as Feed Efficiency Value (FEV)? An FEV of 5.3 means it takes 5.3 pounds of feed for a lamb to gain one pound. The lower the FEV number, the more desirable the lamb. Try to look at groups of lambs in a small pen where you can study their differences more easily as opposed to spread out in a pasture. Have the lambs been properly vaccinated against Enterotoxemia (Over-eating Disease)? This is recommended. It is recommended to vaccinate against tetanus if lambs are kept in the vicinity of horses. The vaccine for sore mouth, another disease that can affect sheep, is a live vaccine. Some producers may not choose to vaccinate against sore mouth unless it is present in the herd. Are the lambs free of internal and external parasites? Have they been dewormed and treated for sheep keds and ticks? Does the lamb possess adequate muscle, capacity and frame size to grow to a competitive market weight? Are the lambs feet and legs straight, sound and wide-set? Is the top line straight, long and level? Does the lamb show style and balance? Does the lamb have a sound mouth and lambs’ teeth? At birth, lambs have eight baby (or milk) teeth or temporary incisors arranged on their lower jaw. They don’t have any teeth on their top jaw, only a dental pad. The incisors should meet with the dental pad and there should be no missing or loose teeth. Any quality lamb you consider should already be castrated (males) with tails docked (males and females). Hooves should be in good condition and trimmed if necessary. Select a lamb that comes closest to your ideal. Avoid inferior animals. Avoid bottle-fed orphan lambs. They rarely mature well. To see a list of resources for quality market lambs in the garden state, click here NJ Market Lamb Breeders List. We will continually add to and refine this list, so check back often! Good luck with your search and your project! 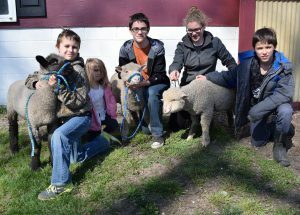 Members of the Whinny Pigs 4-H Club with their 2018 market lambs. From left: Patrick Kelly, Leah Schalick, Austin Seaburg, Erin Schalick and Patrick Schalick. Elizabeth Schalick with her Suffolk market lamb. Elizabeth is also a member of the Whinny Pigs 4-H Club. 4-H Cooperative Curriculum System Sheep Project Activity Guide, 2000. https://shop4-h.org. New Jersey 4-H Market Lamb Project Handbook, Rutgers Cooperative Extension, 2002. 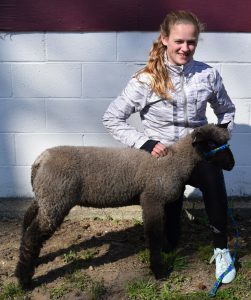 Planning for Your 4-H Sheep Project Animal: Lamb Selection, Michigan State University Extension. Youth Market Lamb Project Guide, NDSU Extension Service, 2009. 4-H/FFA Market Lamb Sheep Project: Selection and Management Checklist, Washington County Extension, Idaho. Judging Sheep 101, Cindy A. Kinder and Denise Mavencamp, University of Idaho Extension.